"BOHEMIAN HAND CUT LEAD CRYSTAL HARBOURS THE CULTURE OF AN ARTISTIC HAND WORK AND HAS BEEN TRANSFERING FROM GENERATION TO GENERATION." Bohemian lead crystal has got the confirmed tradition. The workmanship of cutting crystal has been imparting from the father to his son in many families for several generations. Thanks to this, the tradition has been maintained until today and the adventitious experience has been leading to the innovation not only of the glass-cutters but also of their products, those can pride themselves on a lot of creative designs and unique treatment. 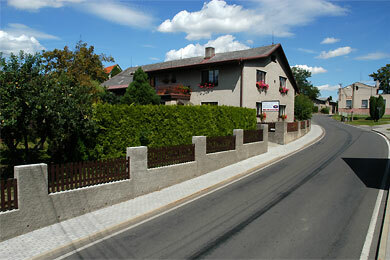 One of the areas, where the tradition of hand cut crystal has been kept until now, is the north-eastern Bohemia. Here, near the Adrspach and Teplice rocks, lies a small village called Bezděkov nad Metují. In this village was already in the year 1940 established the first workshop for the cutting of crystal. From the five original workshops has only one endured and there has been working the firm Jaromír Beran - Cutting and sale of crystal since 1998. 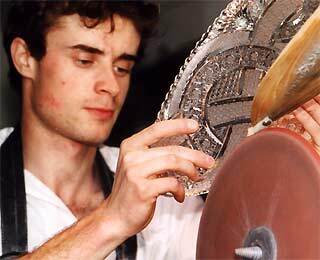 It is the family workshop that offers the hand cut crystal of the best quality. You can choose from a vaste range of products and designs directly in the firm or in the case of your interest you can also order the fabrics by the telephone or at the hand of the electronic post on my e-mail address: Jaromir.Beran@seznam.cz. You can get the prices of all products by phone or e-mail. "HAND CUT CRYSTAL ENGEDERS BY THE FINE HAND WORK AND IT IS NOT POSSIBLE TO REPLACE IT BY ANY MACHINE."